Historian Daryl Ashby spent more than a decade researching the life of B.C. pioneer John Muir for John Muir: West Coast Pioneer (Ronsdale, 2005). After Muir emigrated from Scotland in the late 1840s, he and his sons were first employed as "consignee" labourers for the Hudson's Bay Company. Muir gained the distinction of organizing the province's first labour strike in 1949, objecting to working conditions at Fort Rupert on Vancouver Island. Muir was sentenced to prison for demanding better pay and rejecting the HBC's militaristic style of labour management, but he remained defiant. Soon released, he took possession of his property at Sooke where he prospered. Ironically B.C. 's first labour agitator also became its first forestry executive, developing a steam-driven mill and acquiring the largest privately-owned fleet of ships in the Pacific Northwest. Muir became a magistrate and later a Member of the First Legislative Assembly. During the 1970s, Arthur James Williams ran the largest MDA lab in North America near the small town of Ladysmith on Vancouver Island. With assistance from trusted confidants, he produced and distributed millions of 85-gram capsules of this illicit ?Love Drug,? formally 3, 4 Methylenedioxyphenylisopropylamine, while the RCMP sought in vain to bring him to justice. 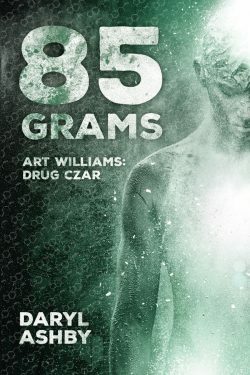 85 Grams by Daryl Ashby, a Vancouver Island historian and journalist, is a biography of Williams couched in the narrative of the intense but ultimately fruitless RCMP investigation. Ashby?s extensively detailed account is rooted in archival research, media reports, legal sources, and interviews of many of the central characters, notably Dale Elliott, Williams? right hand man, and several RCMP officers involved in the events. A contribution from Williams is notably absent. An experienced pilot, he disappeared while flying his Cessna from Vancouver to Nanaimo on November 30, 1977, adding an element of mystery to the book. This is a highly readable book. While extensive detail can be tedious, here it is saved by a gripping story, told in short chapters that keep things moving quickly. The well-chosen photos, some taken by Ashby himself, add significant value, but the book could have benefited from a closer editing. For example, Ashby interrupts in mid-story to provide an account of the history, attractions, and qualities of various mind-altering drugs. This is useful insofar as it introduces the characteristics of MDA and the ease with which ?backyard chemists? (p. 49) can make the drug from readily-available legitimate ingredients, but much of the history and research related has little relevance to the Williams story and slows its dynamic pace. Other minor errors are somewhat distracting but do not materially detract from the book?s appeal. 85 Grams will be of particular interest to residents of Vancouver Island. Williams, his associates, and their families were well known around Ladysmith, and their rural MDA labs operated in familiar locations. His disappearance was widely reported, as were the legal proceedings that ensued from the RCMP?s efforts.�Early publicity, including a lengthy interview with Ashby about the book with Dave Scott on Spaced Out Radio, suggests high local interest. 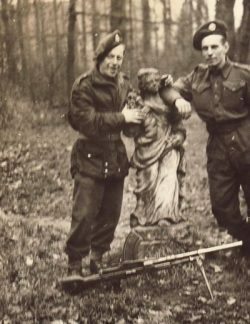 Born in England in 1926, Williams immigrated to Canada following his service in the British Army during the Second World War and in 1966 settled with his wife on a rural property in Ladysmith. Ashby acquaints the reader with Williams? considerable intellect and energy by recounting the diverse endeavours that preceded his engagement in the drug trade. 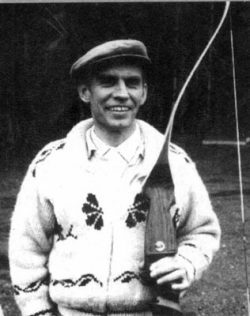 A capable carpenter, in the late 1960s he developed an interest in archery and designed and marketed the ?Williams Bow,? a high-quality weapon that attracted international attention and acclaim. This venture ended, however, when a competitor challenged his design and government funding was withdrawn. Williams? lifelong refusal to pay taxes and his attempt to hide assets from Revenue Canada then led to legal proceedings and bankruptcy. Ashby reports this ?pushed him over the edge? (p. 20) and cemented his contempt for the law. Williams next turned his attention to growing a perfect hybrid mushroom, and incorporated the B.C. Institute of Mycology. It is unclear whether he intended this somewhat eccentric project to be a guise for MDA production from the outset. In Ashby?s account, Williams entered the drug trade because the hippies who lived on his property alerted him to the demand for recreational drugs and he wanted to take ?full advantage of a demographic time bomb that was ready to explode? (p. 34). In short order, equipment and supplies ostensibly ordered for mycology research were being used by Williams and his foot soldiers to produce MDA. 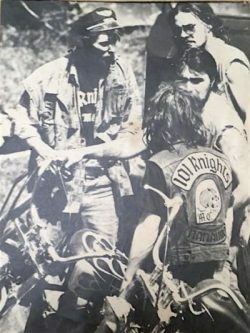 His chief confidant, Elliott, was an associate of the notorious 101 Knights biker gang and was well-acquainted with the drug scene. Ray Ridge was another loyal follower. 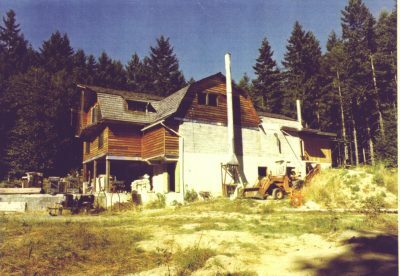 In 1973, under a veil of secrecy, Williams and his associates built a three-storey barn-like structure on his property with a legitimate lab for mycology research and a second intricately-hidden lab for MDA production. The primary focus of the balance of 85 Grams is the RCMP?s five-year ?cat and mouse? chase of Williams and the resulting legal proceedings. Limitations of space make it impossible to do justice to Ashby?s detailed and realistic account of the force?s efforts to obtain conclusive evidence that Williams was manufacturing MDA, and Williams? skill in evading detection. 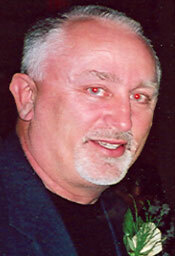 He enjoyed significant cooperation from Elliott and several RCMP officers in compiling his account. Interestingly, the book is dedicated to Elliott. In the early 1970s the RCMP knew Ladysmith was a focal point of MDA distribution, and were aware of Williams because of an earlier marijuana charge and his association with Elliott. In 1972 their suspicions were raised because Williams? Institute of Mycology was receiving large quantities of a key component of MDA, and they embarked on an investigation of his activities. For the next eighteen months they conducted intense surveillance of Williams and his associates, making multiple clandestine visits to their properties, entering buildings, installing rudimentary phone taps, and setting up cameras on neighbouring properties. Chemical shipments addressed to Williams? Institute were traced and sometimes intercepted. Throughout, Williams watched with amusement, convinced he could outwit the RCMP. Despite these efforts, the police obtained no direct evidence of MDA manufacture until a listening bug on Elliott?s property picked up sounds characteristic of production. 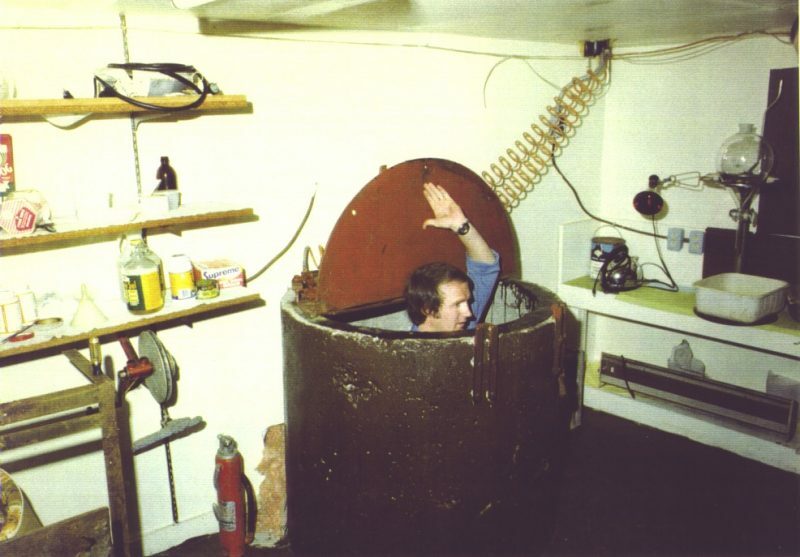 On December 17, 1973, they conducted a raid and caught Elliott and his young son in the final stages of cooking MDA. A concurrent raid at Williams? property revealed a partial recipe for MDA but nothing else of consequence. Both Williams and Elliott were nevertheless arrested and charged with conspiracy to manufacture and traffic in MDA, as well as trafficking in and possession of MDA for purpose of trafficking. They went to trial in Nanaimo in late 1974, interestingly before a judge who was a family friend of Ashby and who took the unusual step of giving him access to his personal records for this book. This allowed Ashby to provide a uniquely detailed account of the trial. The judge convicted Elliott of trafficking in MDA but found the case against Williams was insufficient to establish guilt. Elliott?s conviction was later set aside on appeal leaving the RCMP with nothing to show for their efforts. Undaunted, Williams believed the RCMP were no match for his cunning and he and Elliott were shortly open for business again. They established a new MDA lab hidden on a remote mountainside, accessible only by foot and off-road dirt bikes. Nor were the RCMP prepared to down tools. 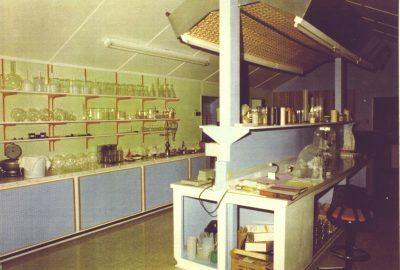 They discovered this lab in February 1977 but found it empty with no evidence of active production. 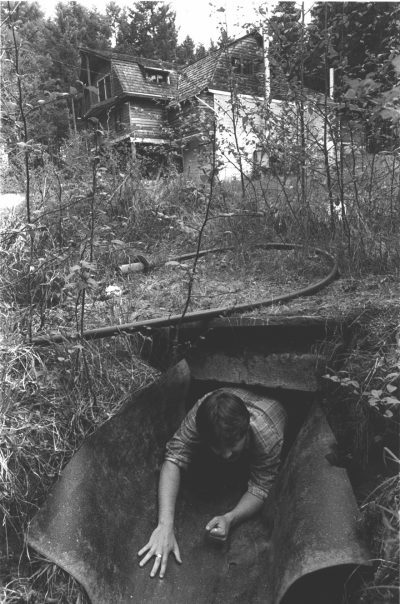 When they returned a few days later to plant a listening device they found the lab had been destroyed. Williams and Ridge had detected the presence of strangers and blew it up, describing this as ?a simple business calculation? (p. 125). Business interruption was not a concern as they were concurrently operating several other labs. Stymied in their attempts to obtain direct evidence of MDA production, the RCMP enlisted an undercover informant, ?E752,? a man with no moral compass, deeply engaged in the illicit drug business, and ?no stranger to the dark side of life? (p. 141). Under police direction, E752 infiltrated Williams? operation as a vendor of the gelatin capsules that serve as MDA containers, and Williams took the bait. As he gained Williams? trust, E752 convinced him to sell him MDA. Several purchases took place with Elliott and Ridge acting as intermediaries. E752?s ?handler,? Cpl. Kary, gave him the funds to buy the MDA and also let him keep the drugs he purchased, traffic them, and keep the proceeds, as he was fearful of disrupting the flow of MDA and alerting Williams to the ?mole.? While these transactions provided clear evidence of possession and trafficking, the RCMP still lacked the direct evidence of MDA production needed to shut down Williams? labs. 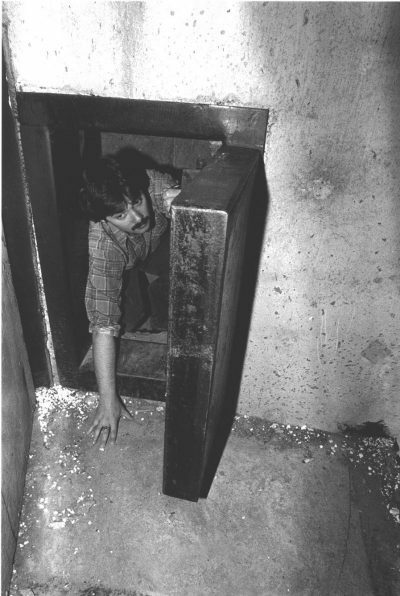 Under pressure to conclude what had become an expensive and fruitless pursuit, as a last resort they conducted a raid on the properties of Williams, Elliott, and Ridge on August 16, 1977. Williams and Ridge were arrested but Elliott evaded capture. 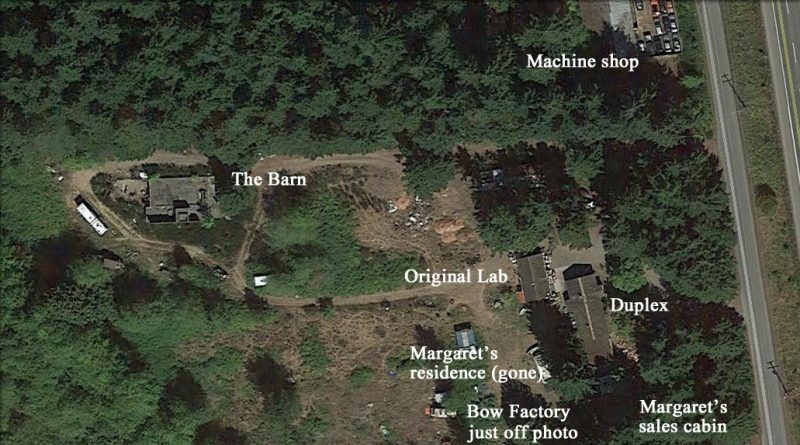 A thorough search of the three-story barn on Williams? property revealed an intricately concealed route to the active MDA lab hidden in a corner, at last providing the necessary link between Williams and production of the drug. Williams, Elliott, and Ridge were charged with conspiracy to traffic in MDA and possession of MDA for the purpose of trafficking and released on bail. While awaiting trial, Williams flew his Cessna to Vancouver to meet his lawyer on November 30, 1977 and vanished over the Strait of Georgia on his return flight. Ashby recounts the searches and investigations that followed in an effort to determine whether Williams died in a plane crash or had managed to fly undetected to a safe haven where he had stowed the proceeds of his MDA enterprise. Although a formal inquest concluded he had died, the lively debate in the community suggested no clear conclusion. Ashby returns to Ridge?s jury trial in 1978 and the efforts by the defence ?to peel back the layers of lies, half-truths and careless preparation? (p. 201) of the Crown?s witnesses. E752 was the Crown?s star witness. His evidence left no doubt that he had manipulated the RCMP to his advantage, and the RCMP was effectively on trial for relying on a known criminal and financing his drug trade with taxpayers? money. 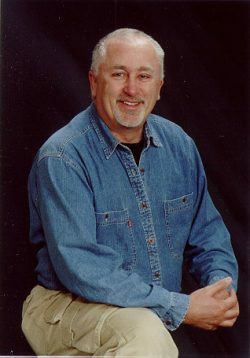 The jury decided the end justified the means, however, and convicted Ridge. Following appeals he served less than a year. 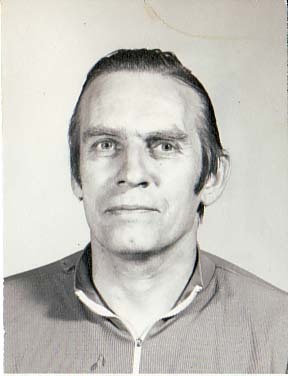 Elliott, who had continued to produce MDA while in hiding on a boat, was apprehended in February 1979. On April 1, 1980, he pleaded guilty to possessing and trafficking in MDA, and served four years. The criminal law can be challenging to decipher and Ashby does a creditable job in recounting the legal proceedings in the book. Legally-trained readers will detect some minor errors but these have no significant impact on the narrative. Those acquainted with the justice system will enjoy his portrayal of the pre-Charter world of police investigations and trials. The enactment of the Canadian Charter of Rights and Freedoms in 1982 placed significant restraints on the investigative powers of peace officers, and introduced new complexity to judicial proceedings. The freedom with which the police pursued Williams would not be permitted today, and the two-week trial against Williams and Elliott in 1974 with 29 witnesses and over 200 exhibits would now take months. At the end, Ashby turns to events in 1979 that revived the debate over whether Williams had died or was comfortably ensconced in some remote tropical paradise. It is left for the reader to decide. ?Ten different fiction writers could come up with ten plausible explanations for what happened, but all the evidence would leave doubt overshadowing each theory,? Ashby concludes (p. 239). In his interview with Dave Scott, Ashby revealed that his intent was to take a deep investigative journalistic approach to Williams? story. He has admirably accomplished that. He also told Scott that he may write a sequel focussing on the informant, E752. If so, his followers can look forward to another intriguing crime story about the hidden underworld of Vancouver Island. 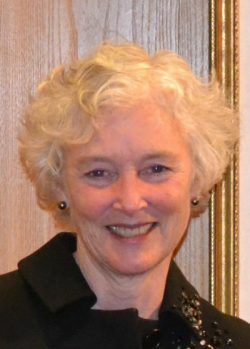 Kathryn Neilson is a retired lawyer and judge. Her legal career in Vancouver included government service as Crown Counsel, as well as private practice in civil litigation and administrative law. She was a part-time adjudicator for the B.C. Human Rights Tribunal, and also worked in the field of international human rights in South Africa and in Cambodia, where she spent a year with the United Nations as a human rights officer. She was appointed to the Supreme Court of British Columbia in 1999, and to the B.C. Court of Appeal in 2008, retiring in 2016. Ms. Neilson has served on a number of professional and community boards and committees. During her career she periodically taught part-time at the law schools of U.B.C. and the University of Victoria, and in the Department of Criminology at Simon Fraser University. She was also engaged in continuing legal education courses for lawyers and judges. She has published papers on diverse legal topics and on her experiences in Cambodia. In his fictionalized biography of one of British Columbia's first settlers from Europe, John Muir: West Coast Pioneer (Ronsdale $21.95), Daryl Ashby begins by having the 83-year-old Muir recall his family's six-month sea journey from Scotland to Vancouver Island in 1849, when he and four sons had pledged to work for the Hudson's Bay Company for three years in return for their fare and a twenty-five acre land grant. Upon his arrival at Fort Victoria, John Muir was turning 50. One hundred acres of land were selected near present-day Sooke-territory inhabited for centuries by the native T'Sou-ke and accessible from the main colony of Fort Victoria only by canoe-because the harbour at Sooke reminded the Muir clan of Loch Lomond. After using his Scottish coal-mining experience at Fort Rupert to fulfill his HBC obligations, Muir homesteaded on his Sooke farm named Woodside, where he built the island's first steam-operated sawmill. While building a fleet of ships Muir became the largest exporter of lumber and raw materials in the northwest-in effect, the founder of B.C. lumber industry. From a lumberyard built in Victoria in 1860, Muir & Co. developed trade with South America, Asia and Australia, and supplied wood for sailing ships and buildings around the world, including the rebuilding of San Francisco after its fires. Muir doubled as a magistrate and an elected representative for the District of Metchosin and Sooke at Fort Victoria; his son Andrew served as Vancouver Island's first Chief Sheriff; and Muir & Co. continued its lumber operations until 1892. A first person point of view is tricky, especially for a historian, since the virtue of immediacy is offset by the danger of subjectivity and potential unreliability, but Ashby has skillfully adopted Muir's voice based on his readings of Muir's diaries. What gives Ashby's story its dramatic tension is Muir's antagonism for James Douglas, the Chief Factor of the Hudson's Bay Company and later, Governor of British Columbia. Muir's narration makes Douglas the villain of his piece, and the subjective account of his arch-enemy paints a picture that serves as a counter-balance to the official portraits-not so much warts-and-all as warts-above-all. Muir's hostility for Douglas began when the Chief Factor failed to welcome personally those who had traveled 12,000 miles in order to work for him. It built up from there as Douglas' subsequent behaviour confirmed Muir's first impressions. He saw Douglas as an autocratic, overbearing man with a sporadic temper whose mandate to establish a colony for the British government clearly took second place to his desire to see the HBC prosper. In particular, Muir found Douglas' treatment of the Aboriginal population not only exploitive but barbaric, though no character in the book can escape criticism on that score. In 1854, Muir joined other reformers to send a petition to the British Government requesting a new form of government for the colony-a democratically elected body that put the interests of the settlement before those of the HBC. The bearer of the petition was a respected clergyman, Robert Staines, who had witnessed Douglas' lack of interest in the needs of the independent settler. Tragically, the ship on which Staines traveled, like many vessels loaded to excess by greedy owners, sank as it entered the seas of the open Pacific. In a letter to the Secretary of State for the Colonies, Douglas slandered Staines as "a violent party man, prudent neither in his conduct nor associations. "; Nevertheless, the fact that Douglas was in conflict of interest must have been noted in Britain, for the severance of his connection with the HBC was soon made a condition of his becoming Governor of B.C. While this account is dominated by two men, there are numerous colourful figures from the colonial period such William Alexander Smith, better known by his adopted name of Amor de Cosmos, who became editor of the British Colonist. He targeted Douglas' abuses and became the second premier of British Columbia, after John McCreight. Ashby also introduces Muir's neighbour, Captain Walter Colquhoun Grant, usually described as the first independent settler on Vancouver Island and the first within the whole colonial region. Grant arrived at Fort Victoria in August of 1849-after Muir-and proceeded to join eight labourers who had preceded him, likely arriving on the same ship with Muir, to clear a farm about 40 km from the fort, at Sooke. Grant's wish to turn the area into a Scottish settlement was so strong that he tried to teach the Aboriginals to speak Gaelic. A Member of the First Legislative Assembly on Vancouver Island, John Muir died in Sooke on April 4, 1883. During ten years of research, Daryl Ashby of Victoria found the Muir's original Fort Rupert homesite and the site of the first Muir sawmill in Sooke. Joan Givner writes from Mill Bay on Vancouver Island.